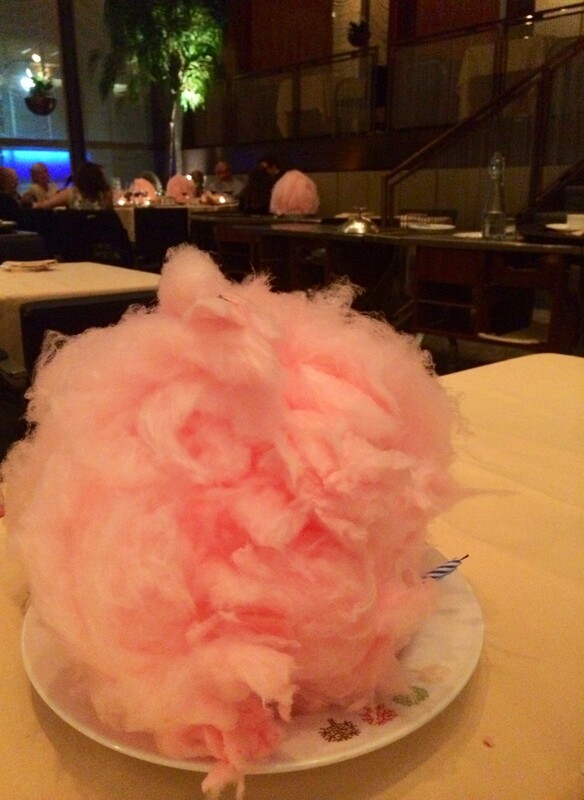 cotton candy ends the moment at the luvFAB The Four Seasons Restaurant in new york. but endings have beginnings. cotton candy brings back sweet, sweet moments. as a child, cotton candy was a festive treat that i enjoyed at many celebrations. the other day, as i took small bites of the cotton candy served at The Four Seasons Restaurant, i thought life’s ‘sweet’ moments were like cotton candy. those sugar threads are savoured in a moment and then disappear. one bite so sweet and then you crave another. a huge plate of cotton candy for all four seasons is for thebestdressup now! This entry was posted in INSPIRATION, luvFAB, RESTAURANT, TRAVEL and tagged COTTON CANDY, HAPPINESS, NEW YORK, NEW YORK CITY, SWEET, THE FOUR SEASONS RESTAURANT. Bookmark the permalink. Cool, cotton candy is fun! Brings back memories of childhood. ciao! i so like your spirit. how did your bake sale go? hope a success. that cotton candy reminds me of childhood days running around outside circus performances. love that colour! ciao! you have remembered a sweet,sweet moment…i am touched. Yum!!! I will definitely visit one of these days! this is such a fun thing for a restaurant to do!! Nicely written, bravo and so true!